Morning departure by 4x4 from Ouarzazate to Agdez (which is where the Dra’a Valley starts) for a short tea break. Then we drive off-road along the ancient caravan route, joining the main road again before reaching Zagora, where we stop for lunch in a secluded riad on the outskirts of the town. Its delightful gardens full of flowers, frogs, palm trees and birds, surrounded by a high adobe wall, make it a small private paradise. There is a small pool for a summer swim. After lunch, the itinerary continues to M’hamid, where the road ends and the desert begins. 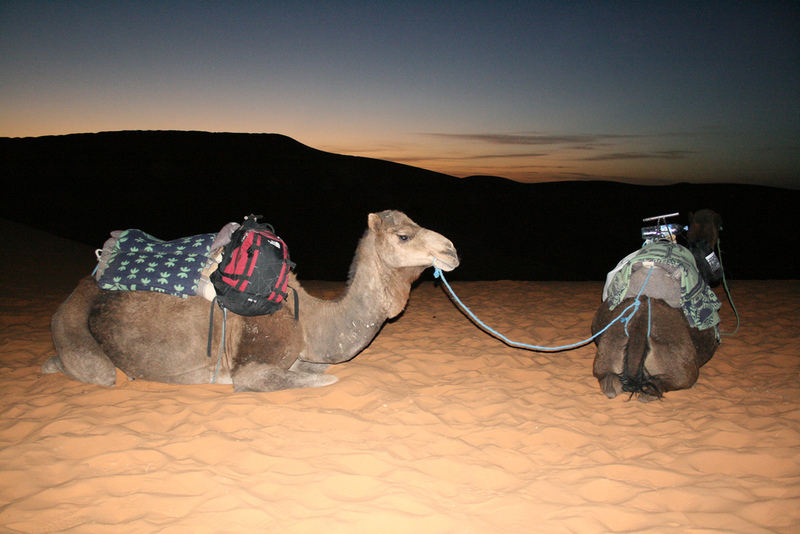 Here, in Erg Lihoudi, after a short break for a glass of tea, you can take a camel ride for a couple of hours to watch the sunset. The night is spent in a bivouac here. The return to M’hamid is on camel back to have lunch in a riad in the midst of palm trees, and where there is a possibility to freshen up under a shower. In the afternoon, the 4x4 will take us to the Erg Cheggaga dunes (300m) with 60km off-road. 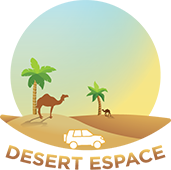 This route passes different features of the desert; ‘erg’, ‘hammada’, oases. 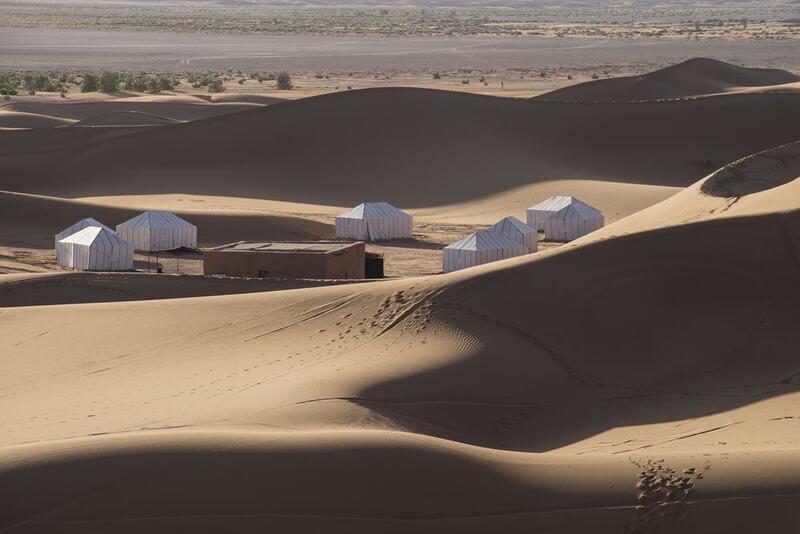 These dunes are far away from civilization, in the desert proper …… where the silence and the expanse of the sand are overwhelming. Dinner and the night are in a bivouac of nomadic tents. After breakfast, the road takes us through another 90km of desert with varying scenery; Lake Iriqui, the mountains and fossils. Lunch will be in Foum Zguid, the first village after the desert, where it is also possible to freshen up with a shower. From here the drive back Ouarzazate is along paved roads via the village of Taznakht, famous for its Berber carpets and rugs. 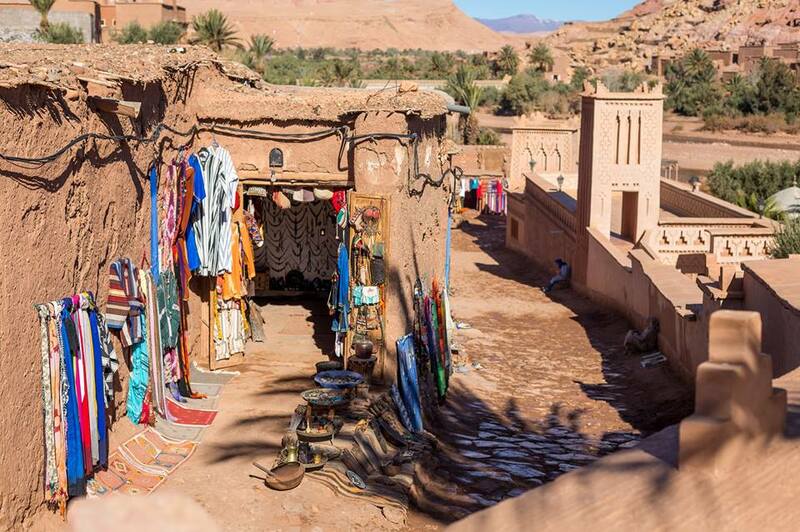 We arrive in the course of the afternoon at Ait Ben Haddou, the oldest and most well-known of Morocco’s Kasbahs. 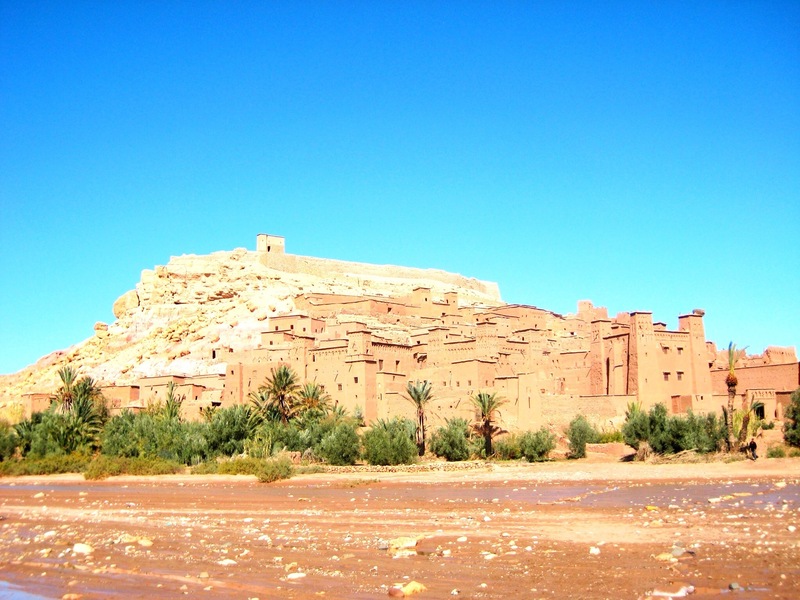 In 1987 this Kasbah became one of the several UNESCO World Heritage sites in Morocco. We spend the night in a riad opposite the Kasbah. Morning departure from Ait Ben Haddou to the Dades Gorges and the Skoura Oasis, travelling off-road to see all the Kasbahs, some sadly in a state of disrepair but idyllically placed amongst the palm trees. The main road passes through the Valley of Roses, with a stop to see the cosmetic articles locally-made from the valley’s abundant roses. These products are well-known throughout Morocco and are highly valued. We continue to the Dades Valley for lunch. After lunch we walk through the gorges themselves and return to Ouarzazate in the afternoon.